Leadership is the act of bringing people together and by connecting with each other finding meaning in something greater than any one alone could imagine. Leading in the educational world is bringing people with big ideas together to think, share, create new visions, and develop new capabilities that will make the world a better place. We learn from our earliest experiences until the end of our lives. Institutions of higher education, P-12 schools, churches, vocational environments, and parents are all instruments of helping people find meaning--all are educators. It is my job as an educational leader to create an institutional catalyst that will translate the best research and theory into practical ways of knowing, so that all kinds of learners can find meaning as a result of their contact with the university. Learning through a liberal arts lens provides an opportunity to explore multiple worldviews, the core questions, the philosophical assumptions, and meanings created over time to understand actions and reactions of humankind. Learning through a professional school lens provokes us to consider the application of liberal arts learning into modern day career paths. In whatever form our institution carries, college students today participate in both endeavors. Education creates hope and changes lives. Being invited to witness another's "aha" moment of learning is an incredible honor. Helping people do this for one another is educational leadership. 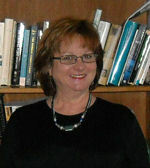 Dr. Ginger MacDonald is a Professor of Educational Psychology at the University of Washington, Tacoma. Her Ph.D. is in Educational Psychology/Counseling from the University of Washington. Her teaching, writing, and research are centered upon lifespan developmental issues in psychology, education, and psychotherapy. Her co-authored book (with Dr. Lawrence Brammer), The Helping Relationship: Process and Skills, is in the eighth edition. She has published a wide range of articles from a national study of school counseling models, from a developmental perspective, to how first generation college students' perceptions of college readiness. Her current line of scholarly inquiry includes the process of identity formation for institutions of higher education, particularly branch campuses. She currently serves as Associate Vice Chancellor of UWT. Click here to download Ginger's vitae in PDF format.